So I wanna know who the best character is too play as - and also who you play as! I'll move this to polls. I use Zelda and Shiek. Zelda has strong long distance attacks. Shiek has strong short range attacks. U just have 2 switch depending on the opponent. 4 ex. I hope this works 4 u! That's one of the main reasons I used Him! YAY for Mega-jumping Aswell! Nope! I've played it enough now - Kirby truely does pwn! In a four person Brawl - let everyone attack each other - then fly above them and crush them! BUT my favourite thing about Kirby is him stealing everyone's Special Move! It's great fun and works really well! I've heard Ness is good with his PK Thunder ... even though I don't play brawl and don't know what any of those things are. I never played Brawl but have played Melee and my favorites were:Mewtwo,Falco,Captain Falcon,Fox,Ness,and Link. 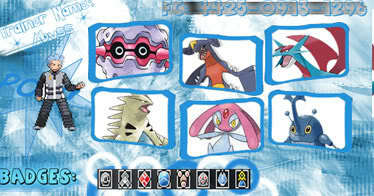 All of those are still in Brawl, apart from Mew Two! Lol - I was just trying that now - and it's great! I think swallowing up Bowser than unleashing a can of Fire breath is amazing! YEAH! Yeah - The Only thing I can use is Kirby (if I had to I could also use MetaKnight) it's because of the flying/6x Jump! Then turning into a rock!
! I couldn't use Dedede! He's HUGE!! I can JUST use Metakinght! Subject: Re: Smash Bros. Brawl - best character?